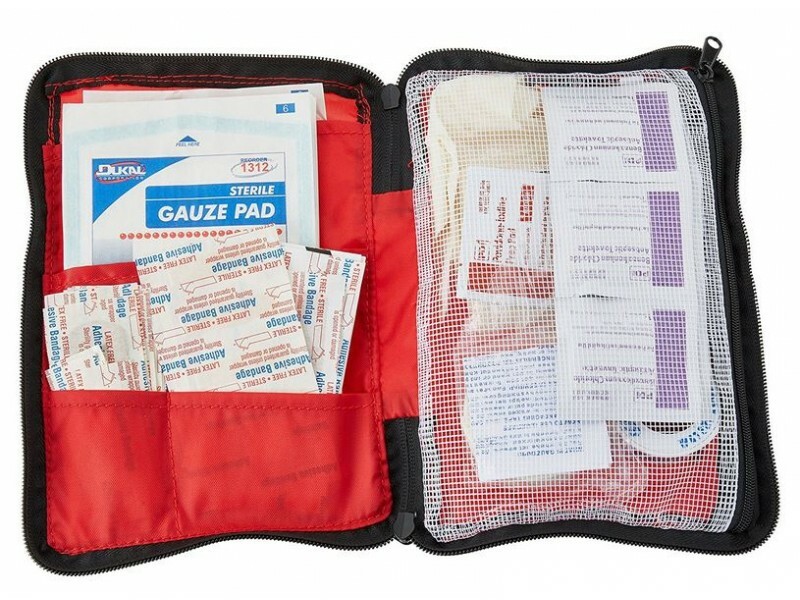 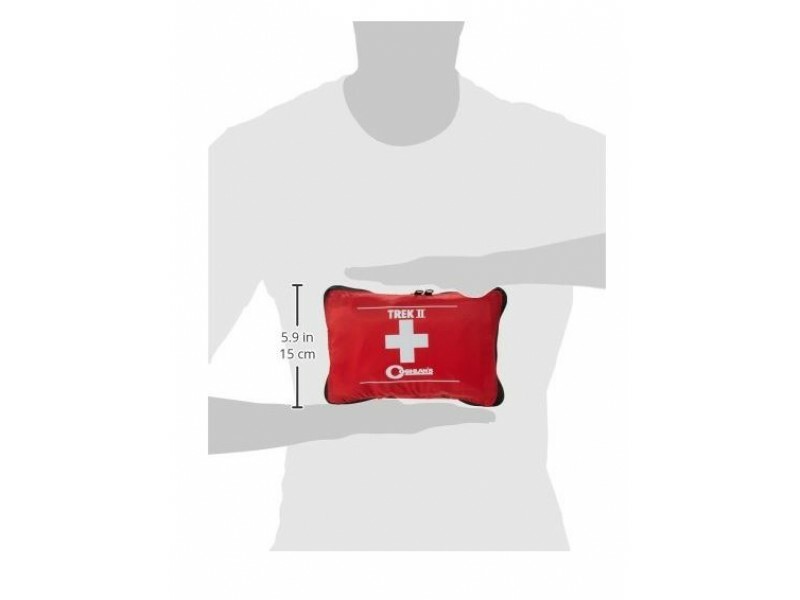 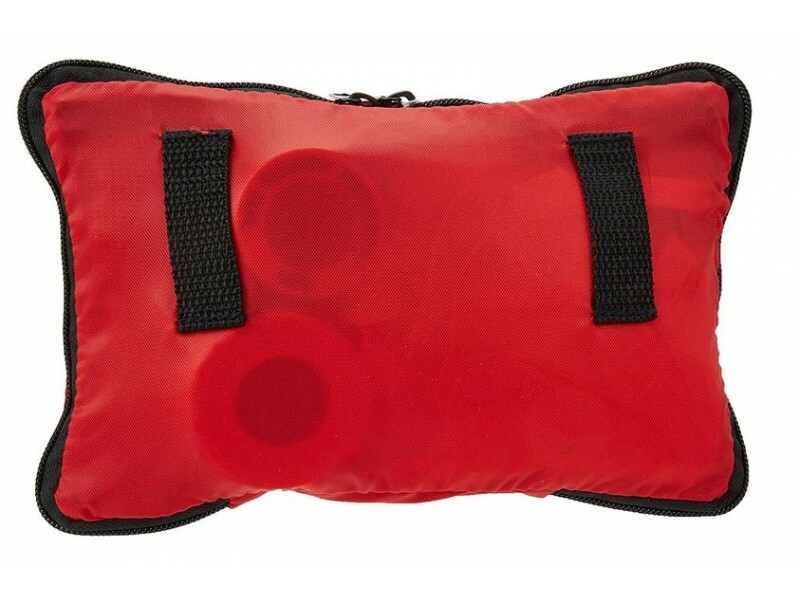 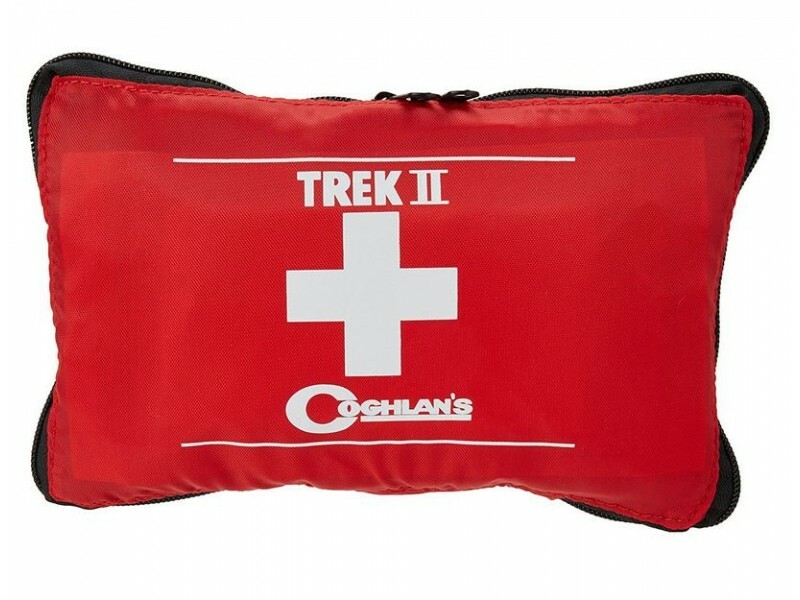 Coghlan's Trek III First Aid Kit comes in its own zippered, compartmentalized nylon soft pack. 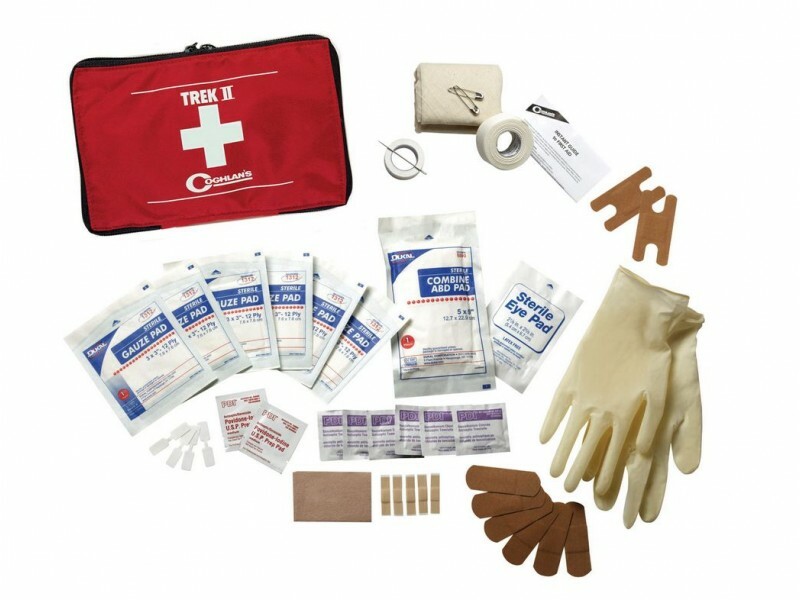 It is popular with younger generation going to summer camps, or anyone who will be doing only fairly basic patching up of people. 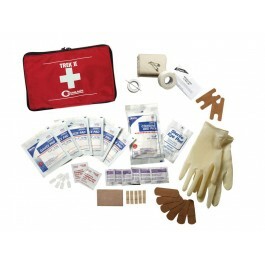 A comprehensive well-balanced first aid kit designed for the basic needs of any backcountry hikers and family campers. 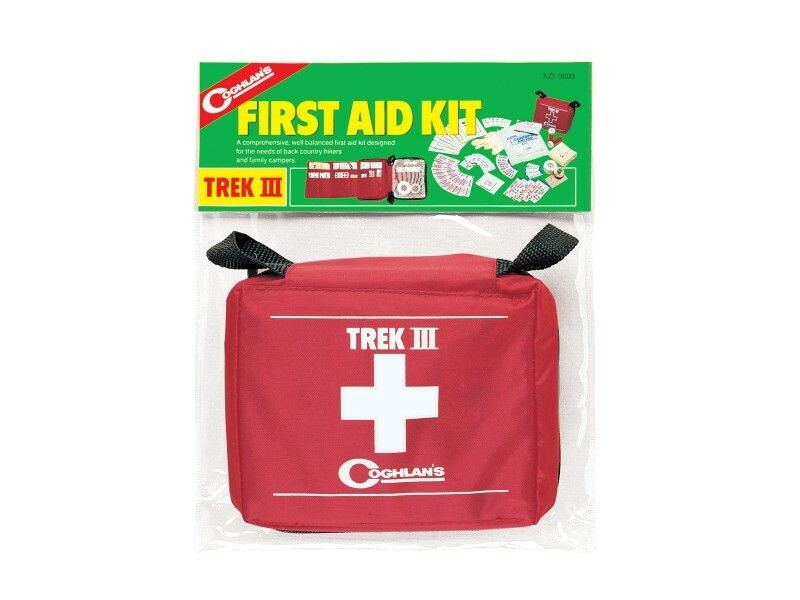 In this kit you will find 60 carefully chosen, functional items packed in a zippered compartmentalized soft pack.